Member, McAuliffe Honor Society. Certified Public Accountant, California, 1971. Author, “Federal Tax Aspects of Variable Life Insurance,” 8 USF Law Review, Spring 1974. Chairman: Tooele Planning Commission, 1979; Washington County Economic Development Council, 1993-1996. City Attorney for Tooele, Utah, 1979-1980. 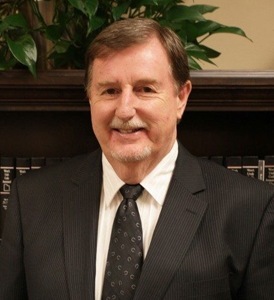 Town Attorney for: Ivins, Utah, 1981-2000; Santa Clara, 2002—; Springdale, 1987-1989; Rockville, 1987—; Springdale, Rockville Fire District, 1991—. Washington County Commissioner, 1993-1996. Member: Utah Timeshare Legislation Committee, 1982-1984; Dixie Center Control Board, 1993-1996; Washington County Habitat Conservation Plan Steering Committee, 1993-1999.